About | Heberling Associates Inc. Founded in 1983, Heberling Associates, Inc. includes a staff of more than twenty individuals educated in history, archaeology, geography, cultural resource management, historic preservation, museum management, and related fields. Our senior professional staff members all hold advanced degrees and meet or exceed the Secretary of the Interior's standards. We have completed hundreds of projects for clients in the public and private sectors. Heberling Associates offers a full range of cultural resource management, preservation, and heritage resource services combining professional expertise and principles with cost-efficient methods. The work of Heberling Associates, Inc. has been recognized for excellence by peers, clients, and cultural organizations. Heberling Associates maintains offices in Alexandria and Pittsburgh, Pennsylvania. Our main office is located in Alexandria (Huntingdon County), a small town on the Juniata River in the mountains of central Pennsylvania. 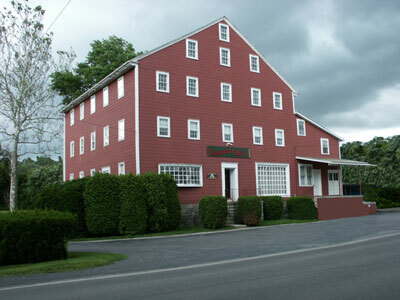 Our headquarters building is a historic five-story frame gristmill built in 1833 along the river and the Pennsylvania Canal. Our logo, a stylized 19th century charcoal iron furnace, represents the "Juniata Iron" industrial heritage of central Pennsylvania, as well as other remnants of the built environment that still dot the countryside. We are always conscious of our history, and as professionals we work carefully to discover and tell the real story of the people and places of our past through what they have left behind in the ground, in buildings, in written documents, and in oral traditions.